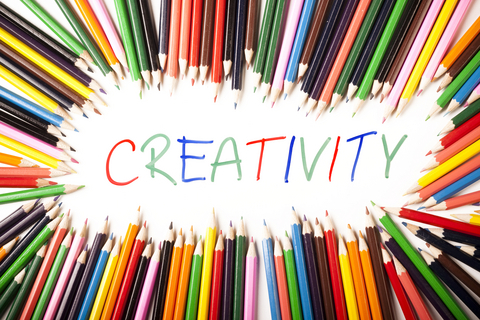 9 Creative thinking on line tools – Free! Looking for some new thinking to use during World Creativity and Innovation Week April 15 – 21 this year? Here are 9 resources to play with to spark your creative thinking engines. Remember the criteria for creativity: novel, useful, surprising ideas, decisions and/or actions. Have others to recommend? Please list them in the comments section. 1. IdeaChampions Free the Genie free trial. It’s an online area to be directed through solving a challenge in stages. 2. Roger von Oech’s creative Whack on the Side of the Head. Click on the upper left corner of his webpage for a view his daily idea stimulus cards. 3. Eyewire – Creativity card simple thought stirrers. Downloadable, you can make your own cards from their pdf to carry around. 4. New & Improved has 15 online, downloadable Gator Breaks – ways to overcome knee-jerk negative reactions to ideas. 5. Creativity Toolbox by Peter Lloyd gives online help to anyone who is stumped in a number of areas: brainstorming, mind mapping, name generating. Lots of fun here, even a quote generator! Creativity Toolbox. 6. Like playing with words? Here’s a random word, phrase, sentence and paragraph generator. Lots of potential here. Click any of the words below the website name: watchout4snakes. 7. More into visual that verbal? Here’s a site where you can create your own Picasso Head. 8. Looking for or have practical/business ideas? Check out Idea A Day for practical suggestions and insights. 9. New trends in thinking and business based on social, technological, environmental, economic and political shifts can be found at the World Future Society website. Off to the World Futures Conference in Boston for the next few days to learn and contribute to what’s happening in the future, this year’s theme: Sustainable Futures, Strategies and Technologies. Sparked by the notion that the future really depends on the people who make it happen, we’re presenting two sessions to emphasize the importance of how people feel when they engaged in using new thinking to make new decisions. One is a pre-conference all day workshop, the other a concurrent conference session. This concurrent session provides insights into ways creativity can be actualized annually for the benefit of creating better futures. World Creativity and Innovation Week April 15 – 21 (WCIW) began in Canada in 2001 and is celebrated in more than 43 countries. It’s grass roots, word-of-mouth, volunteer and it continues to grow. celebrations from around the globe. Tom and Megan were heavily involved in Pfizer Consumer Health’s global celebration in 2006. WCIW was created to encourage people to use their creativity to make the world a better place and to make their place in the world better too, without causing harm. Our handout is attached – it highlights suggestions for planning ways to celebrate, how to get involved, and gives contact information.